Stadler is being held in pretrial detention on suspicion of trying to influence witnesses in an emissions investigation. 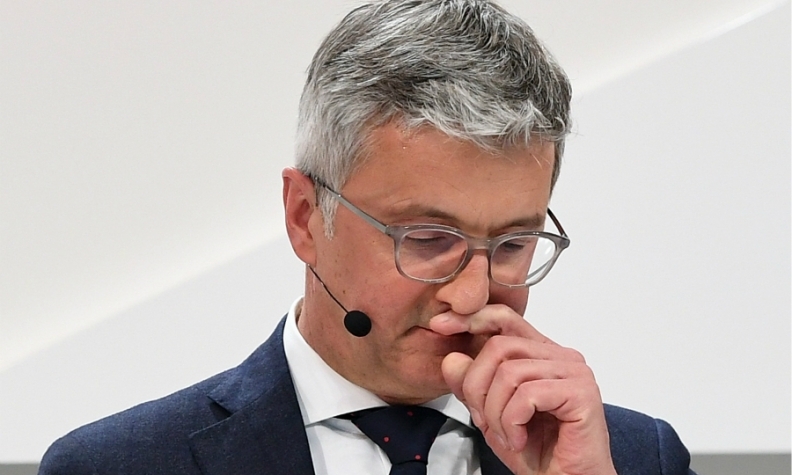 Audi CEO Rupert Stadler is in line for a 7 million-euro ($8 million) payout if he is cleared of involvement in Volkswagen Group's diesel-emissions cheating. VW said on Tuesday that Stadler's contract had been terminated with immediate effect because he cannot carry out his duties while in pretrial detention. Stadler has been held in custody by German authorities since June on suspicion of trying to influence witnesses. Stadler, 55, will receive 7 million euros in compensation for the early termination of his contract if he is not convicted of any criminal case in Germany, business paper Handelsblatt reported on Wednesday, citing company sources. In addition, VW will pay Stadler about 1.5 million euros if he does not take employment with a competitor until the end of December 2019, the paper said. Stadler will also receive 1 million euros in backdated pay and bonuses from claims arising from 2015 when the emissions scandal broke. Audi created so-called "defeat" devices that cut emissions in 1999, years before they were used in up to 11 million VW Group diesel cars sold worldwide, German press reports have said. Stadler is not suspected in being directly involved in the fraud but was later aware of it, Handelsblatt said.